Home / Comment / Who are your Guardians of the Galaxy? Who are your Guardians of the Galaxy? The film is out now and it’s as glorious as I predicted in this article way back in March. If you’re looking for the Pop Verse review then look no further than HERE! Otherwise read on and check out how accurate a lot of my guesses about the plot turned out to be. So you watched the Guardians of the Galaxy trailer (if not go watch it now, I’ll wait…) and you may be wondering several things. Why is that Raccoon wielding high powered weaponry? Is that an Ent? I thought this was Science fiction, not fantasy? What’s the deal with the Space Police? What’s with all the green people? What’s this all got to do with the Purple guy from The Avengers after credits scene? Well never fear gentle reader, I’m here to introduce you to your Guardians of the Galaxy. 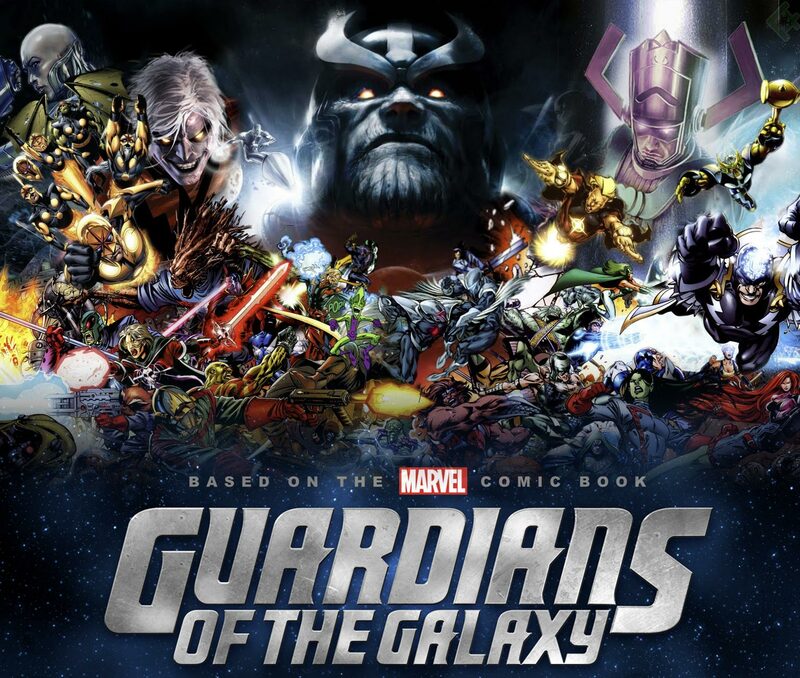 The Guardians are a rag-tag group of misfits and rogues thrown together by circumstances outside of their control that go on to become the saviours of the Galaxy (think ‘Dirty Dozen in space’). As typical for the reluctant hero’s trope the guardians are not traditional heroes like Captain America or Thor. They are a mix of Han Solo style rogues, ex-Assassins, outlaws and anthropomorphized raccoons. Peter Quill (Chris Pratt) is the leader of the Guardians. Taken from earth as a child in the 1980’s Peter has been wandering around the galaxy looking for fame, fortune and women. In the comics, Peter takes up the mantle of Star-Lord (a sort of interplanetary policeman) but loses his powers when he is defeated in battle. The exact background of the character has not been revealed for the new film but will most likely take the form of unpowered human with a suit that allows him to survive in space. He typically uses twin sub machine guns to take down his foes. Expect a cocky, fast-living and fast talking rogue who plays by his own rules. Gamora (Zoe Saldana) is the last of her race and is the adopted daughter of Thanos (we’ll get to him). Raised to assassinate the enemies of Thanos. She tries to find a new path once she discovers his true plans. Her powers include superhuman strength and agility, and an accelerated healing factor. She is also an on again-off again love interest for Peter Quill. Drax (Dave Bautista) was originally the human Arthur Douglas but when he and his family are killed by Thanos his spirit is captured and put in a new body with only one purpose – to destroy Thanos. Drax’s powers include enhanced strength and resilience. Drax is a very powerful warrior and considered one of the most dangerous beings in the universe. 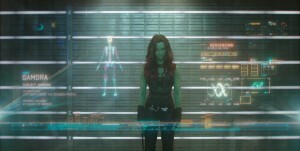 In the movie Drax’s family were murdered by Ronan the Accuser (see Below) leading Drax to go on a bloody rampage. Groot (Vin Diesel), a tree-like humanoid, is the last of his race and claims to be scion of the elite royal family of his planet. The only thing Groot is able to say is ‘I am Groot’. Groot has formed an unlikely friendship with Rocket Raccoon who seems to be the only one who understands what he is saying. 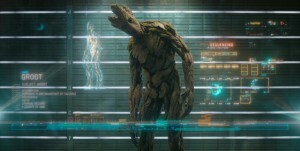 Groot’s powers include giant growth and regeneration. Rocket (Bradley Cooper) is a genetically engineered raccoon with a penchant for heavy weapons. 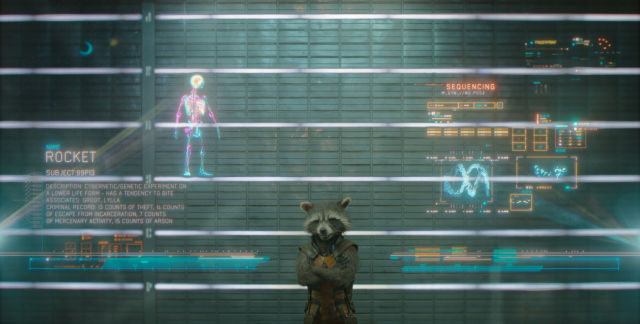 Rocket is a highly trained marksman, expert strategist and tactician. He often uses his friend Groot as a mobile artillery position (as he does in the trailer). Other than the Guardians, there were also other important characters revealed in the trailer. Read on to find out about some of the villains and supporting cast. The Nova Corps are an intergalactic military/police force from the planet Xandar. In the comics the Nova corps wield the Nova Force which provides them with various levels of superpowers (including flight, super strength and energy powers). It’s not clear from the trailer if the Nova Corps will have super powers but keep your eye on John C. Reilly who is credited as Rhomann Dey – a particularly important officer of the Nova Corps. Ronan (Lee Pace) is the Supreme Accuser of the Kree Empire (think Judge Dread with superpowers). 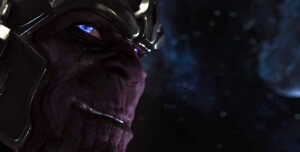 In the film, Ronan is an admiral for Thanos, tasked with hunting down the Guardians. Ronan’s powers include super strength and resilience. He also wields a very powerful hammer which is capable of altering matter at a molecular level. He only appeared for a brief glimpse in the trailer but can be seen here on the right holding up Drax with one hand. 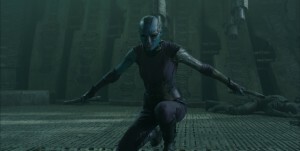 Nebula (Karen Gillan) is an ally of Thanos and is sent to aid Ronan in hunting down the Guardians. 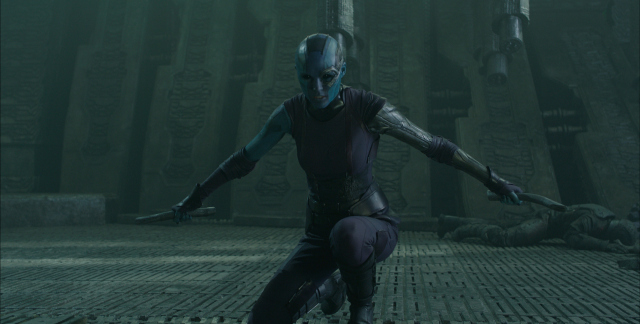 Nebula is a space pirate and mercenary who has a complicated relationship with Gamora. Nebula is a skilled warrior and tactician with cybernetic enhancements to heighten her already deadly skills. 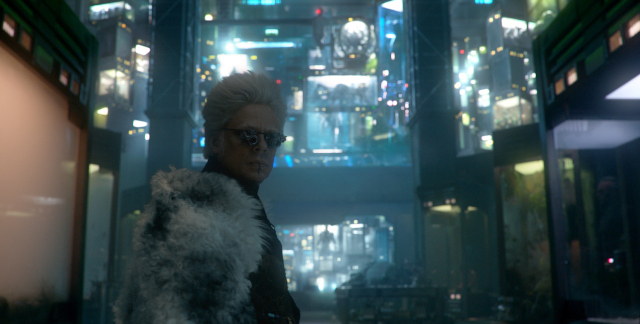 The Collector (Benicio Del Toro), in the comics, is one of the Eldars of the universe. An immortal being who has been alive for billions of years. He was first seen in the after credits scenes of Thor 2 where he was given possession the ‘Aether’, one of the five infinity stones, for safekeeping. Expect this to be a big part of this film and the rest of the cinematic universe. Thanos (Damion Poitier) is from Titan (a moon of Saturn). He is an incredibly powerful being who is in love with the physical embodiment of Death (comics can get a bit weird). In the comics he is mainly interested in the infinity stones. He first appeared in the after credits scene at the end of The Avengers, where it’s implied he was the power supporting Loki in the invasion of Earth. In the Guardians film, he is expected to be the main villain in a plot to obtain the infinity stones. 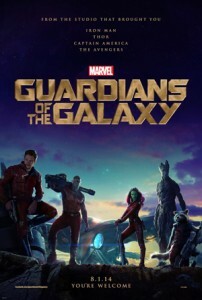 The Guardians of the Galaxy film is a little different from the films the have gone before it, as it is taking place in the ‘cosmic’ part of the Marvel Universe. Critics claimed that no one would take a film seriously with a norse god in it. The same critics have said that no one will take the Guardians of the Galaxy serious with a talking raccoon and a walking tree. They were proved wrong with Thor and they will be proved wrong with Guardians. Trust me, go see it release day and you too can enjoy the witty one liners from a talking raccoon. Guardians of the Galaxy: No raccoons or tree creatures were harmed during the making of this film. Guardians of the Galaxy: Why You Should Stop Worrying and Love the Raccoon Marvel to publish new Star Lord series – Legendary Star Lord Guardians of the Galaxy Volume 2: Showtime, A-holes! Next: Veronica Mars: The movie – Our story is epic. Spanning years and continents. Lives ruined and blood shed.